Have You Received More Than One DWI Violation? Multiple DWI Offenses Can Permanently Revoke Your License, Cost You Thousands in Fines, And Even Lead to Jail Time! 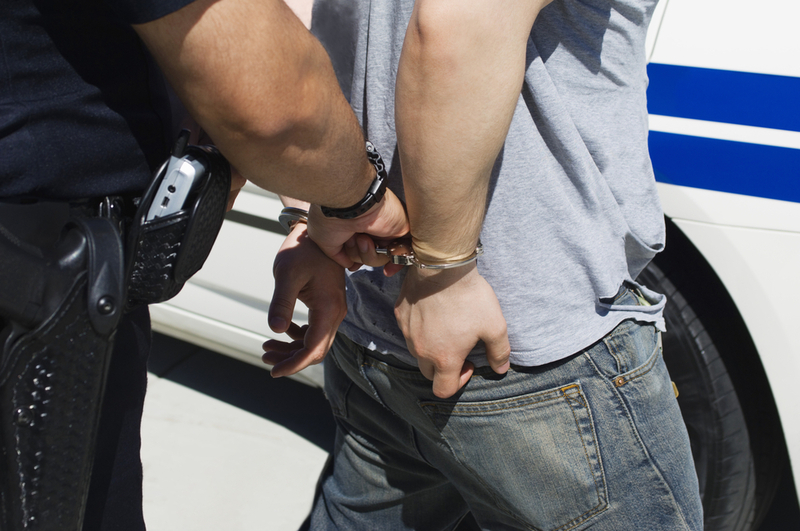 FIGHT YOUR DWI OFFENSES WITH AN EXPERIENCED CRIMINAL LAWYER! Pleading guilty to any violation of the New York State Vehicle and Traffic Law (VTL) is never a good idea. Multiple driving offenses can lead to serious repercussions. In the State of New York, depending on the offense, your driving and criminal record may be affected! When it comes to Driving While Intoxicated (DWI) or Driving While Ability Impaired (DWAI), New York takes a strict stance. A single offense can result in fines up to $2,500, a 1-year revocation of your license, and up to 1 year in jail. Keep in mind that this does not include any Driver Responsibility Assessment Fees, the cost of obtaining a new, valid license, or other such supplementary financial investments. Multiple offenses, however, show the State that you are a serious threat to the public and the potential consequences are much more severe. The consequences of a guilty verdict are too serious to go without proper counsel. Before you plead guilty or opt for a public defender, contact The Law Offices of Michael H. Ricca P.C! There are five primary categories that New York includes under it’s “impaired drivers” offenses. While these are not the only impaired driver laws in New York, they tend to be the mostly commonly violated ones. Many times the first time you are charged with a DWI, it is a misdemeanor. At this stage, you are looking at up to a 6 month suspension of your license, 1 year in jail, and a $500 to $1,000 fine. In addition to this, you will likely be assessed a $250 annual fee as part of the Driver Responsibility Program for a 3 year period. Additionally, you may also face a possible enrollment into the New York Impairment Driver Program (IDP). This was formerly known as the Drinking Driver Program (DDP). If you have been pulled over by law enforcement and have a BAC of 0.08%, you have already set yourself up for a DWI charge. If you have a BAC of 0.18%, however, you will receive an Aggravated DWI charge (VTL 1192 (2a)(a)). However, if you have a child 15 years or younger in the vehicle at that time, you have committed a more serious offense. This is also considered an Aggravated DWI, but also a violation of Leandra’s Law (VTL 1192 (2a)(b)). Your first Aggravated DWI offense is a heftier charge than the standard DWI offense. It starts with a $1,000 to $2,000 fine. However, a 1 year license revocation, $250 annual Driver Responsibility Assessment fee for 3 years, IDP enrollment, and up to 1 year in jail are also possible. Your first DWAI is considered a traffic infraction. While this first offense is not a crime, it comes with stiff consequences. This includes the potential for fines (between $300 and $500), up to 15 days in jail, a 90 day suspension of your driver’s license, a minimum Driver Responsibility Assessment Fee of $250 a year for 3 years, and a possible enrollment into the IDP. Like an A-DWAI, in order to receive a D-DWAI (VTL 1192 (4)), law enforcement must feel that your ability to drive as a “reasonable and prudent” driver has been impaired by your use of drugs. For a first D-DWAI offense, you are looking at the same consequences as a first DWI offense. A C-DWAI (VTL 1192 (4)(a)) means that your ability to drive in a “reasonable and prudent” manner has been impaired by “any extent” by your combined use of drugs and alcohol. For a first C-DWAI offense, you are now looking at a possible 6 month revocation of your driver’s license, in addition to the fines, Driver Responsibility Assessment fee, jail time, and IDP consequences for a first-time DWI conviction. In New York, your driver’s license can be suspended or revoked depending on the severity of the conviction. A license suspension is a temporary condition. It has a start and end. Whether you have an indefinite or definite suspension, you still hold a valid driver’s license. Your privileges have just been temporarily suspended. You will also need to pay a suspension termination fee. A revoked license, however, will completely cancel your driver’s license. Not only will you need to wait for the conclusion of your revocation period, you will have to pay for an entirely new license, in addition to a suspension termination fee. You may also be required to re-take the oral or physical driving tests associated with a new license. Not all revocations have an end date, however. Some are permanent and will last you a lifetime. Being charged with a DWI or DWAI offense is a serious matter. Being charged multiple times, however, is even worse in the eyes of the law. It is also important to note that, unlike other driving offenses, a DWI conviction does not come off your driving record after 18 months. A DWI conviction can remain on your criminal record for 25 years, and in some cases your entire life. A single conviction is a big deal. Accumulating more charges and convictions, however, can be devastatingly serious.You should note that the fine and sentences related to multiple convictions are not a cumulative punishment. Each alcohol/drug-related driving conviction has the potential to cost up to $10,000 and 7 years in prison. This does not include other financial burdens often associated with DWI convictions, including the Driver Responsibility Assessment fee, court costs, and other such items. A SDO, which is short for Serious Driving Offense, in combination with an alcohol/drug-related conviction will automatically flag you as a “Persistently Dangerous Driver” for the Department of Motor Vehicles (DMV) and law enforcement. A SDO is one that involves a fatal accident, conviction of multiple 5 (or more) point traffic violations, conviction of a penal-law driving-related offense, or an accumulation of 20 (or more) points on your driver’s license. If you have a SDO on your record and are convicted of multiple alcohol/drug-related driving offenses – your license will likely be revoked for life. Only unusual, extenuating, and compelling circumstances can change this ruling once the DMV has revoked your license. An Ignition Interlock Device (IID) is a type of breathalyzer that is connected to your vehicle’s ignition system. Most require a driver to blow into the device before it will allow the engine to start. IID’s are often court ordered as part of a repeat offender’s probationary period. In New York, most drivers are required to purchase and sustain their own devices, including any monthly costs associated with such a device. Can I Just Deny Taking a Chemical Test? If you deny taking the test there may be additional penalties. You should always consult with an experienced DWI lawyer before taking a breath test.  “Implied Consent Laws” in New York State requires you to perform chemical testing. However, this does not mean you should agree to the “test.” This includes chemical testing of your blood, urine or breath. Refusal to submit to a chemical test, also known as a sobriety test, may add to your legal issues. The first time you refuse a chemical test, you are subjected to a $500 civil penalty. Your license can also be revoked for up to 1 year. The second time you refuse one, the fine increases to $750. Additionally, your license can also be suspended for up to 18 months. A third refusal will have your driver’s license permanently revoked. Refusal to submit to a chemical test does more than just cost you money and increase the potential to lose your license. If you are subsequently charged with a DWI, your refusal can appear to be uncooperative to a presiding judge and a prosecutor. As such, the prosecution and judge may take a sterner approach to your sentencing. REPEATED DWI CONVICTIONS AFFECT YOUR CRIMINAL RECORD! Repeated DWI convictions do more than just affect your ability to legally drive. They also affect your criminal record. First time offenses may bounce between traffic infractions and misdemeanors. However, these charges increase in severity as you accumulate more DWI convictions. A second conviction is considered a Class E felony. A third (or subsequent) conviction, however, constitutes as a Class D felony. Having a felony record can significantly impact your future. Felony records can affect your ability to retain or find employment. Any job in need of a background check will likely reject you outright regardless of the reason for the felony. Additionally, housing boards, lenders, colleges, and other types of agencies are likely to reject your application. It is possible for you to beat a DWI conviction, but you must act quickly and contact a lawyer immediately. Do not trust your case, and your future, to an overworked public defender. Contact The Law Offices of Michael H. Ricca P.C. for your free consultation. Having qualified and competent legal counsel is imperative for those charged with a DWI. If you have received one or more DWI charges, contact The Law Offices of Michael H. Ricca P.C. immediately. If you are charged with a crime, such as a DWI, the State is required to appoint a public defender on your behalf if you request one. However, these individuals cannot devote the time needed for such a serious charge based on their caseload. This is never the case with The Law Offices of Michael H. Ricca P.C. We only take the cases we can handle, ensuring your situation receives the attention it deserves. The Law Offices of Michael H. Ricca P.C. focuses on traffic law and criminal defense.  Our special attention to these branches of law, as well as our experience, knowledge and determination help make us one of the best law offices in New York. Being charged with a DWI can be overwhelming. If this is the first time you have been charged, it can seem downright terrifying. The consequences of another DWI conviction are too serious to wait. Contact The Law Offices of Michael H. Ricca P.C. today for help with your DWI charges!